Roast chicken is getting its moment in the spotlight. 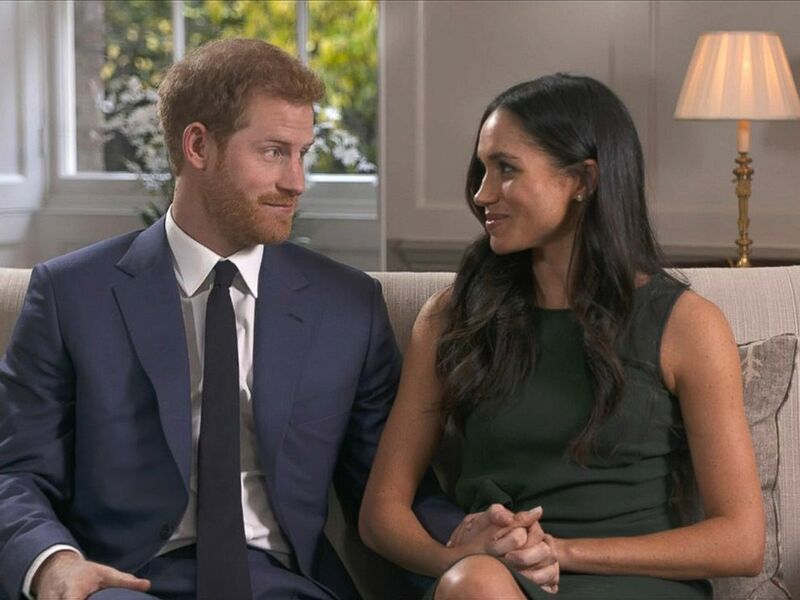 Prince Harry and Meghan Markle shared their engagement news with the world Monday and revealed that Harry popped the question during a "cozy night" at their cottage over dinner. "It happened a few weeks ago, earlier this month, here at our cottage; just a standard typical night for us," Harry told the BBC in the couple's first interview Monday. "We were just roasting chicken," added Markle, 36, detailing their love story. "Roasting a chicken, trying to roast a chicken," Harry, 33, jokingly chimed in. "Trying to roast a chicken and it just -- just [was] an amazing surprise, it was so sweet and natural and very romantic. He got on one knee," the former "Suits" actress said. The detail about the roast chicken during the royal couple's proposal story stirred up chatter about the famous myth of the "engagement chicken," a recipe that promises to help get the cook engaged. 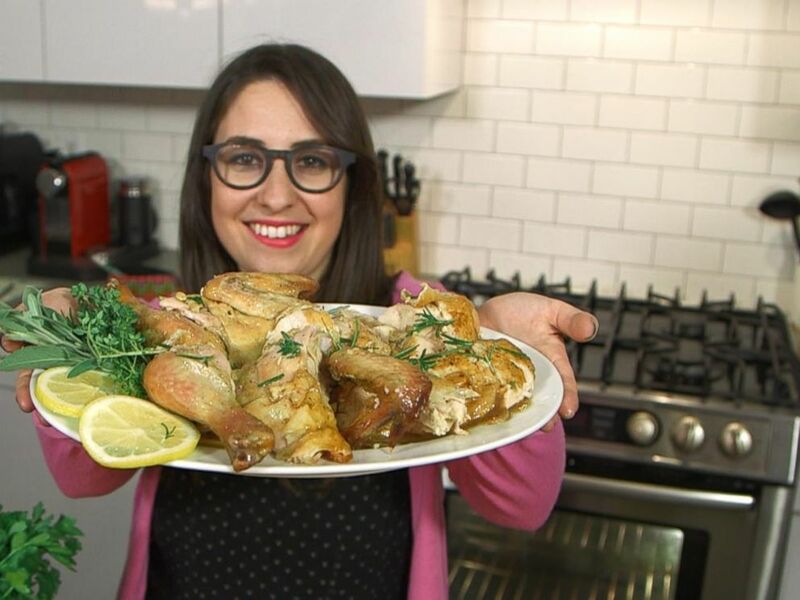 The "engagement chicken" recipe was created by a fashion editor at Glamour magazine over 30 years ago and reportedly led to many proposals among the staff. The editors went on to publish the famous recipe in the magazine and ultimately made a cookbook featuring the dish in 2011, where they wrote that more than 60 women say they got engaged after making it. VIDEO: Can Chicken Get a Man to Propose? Celebrity and pet activist Beth Stern was one of them, crediting the dish with helping her seal the deal with now-husband radio superstar Howard Stern after he swore he would never marry again. What's the "secret"? In 2015 "Good Morning America" made the recipe, which calls for lots of lemon and herbs. Glamour dubbed the juice that collects in the bottom of the roasting pan during cooking the "marry me juices" and instructs cooks to pour them on top of the sliced chicken before serving. Click here for the full recipe. It's extremely unlikely that Markle and Harry were cooking up the famed "engagement chicken" recipe the night that Harry popped the question. However, Harry and Markle may have made a recipe from "The Barefoot Contessa" star Ina Garten. In a 2016 interview with Good Housekeeping, Markle said she was a fan of Garten's roast chicken for dinner parties. "There is nothing as delicious (or as impressive) as a perfectly roasted chicken. If you have an Ina Garten–level roasted-chicken recipe, it's a game changer. I bring that to dinner parties and make a lot of friends," Markle said. Garten even congratulated the couple on their engagement on Twitter, saying roast chicken has "magic powers." Breaking the "engagement chicken" stereotype of a woman making a roast chicken to woo her suitor into proposing, the couple's interview mentioned that the pair made the chicken together, which speaks to their partnership. The couple has said their relationship blossomed over the last year and a half at home over dinners. "We had to sort of reverse the whole process and cozy nights in, in front of the television, cooking dinner with just the two of us by ourselves in our little cottage rather going out for dinner and being seen in public. So we, we reversed the whole process which is, it's provided different opportunities. And has made us a hell of a lot closer in a short space of time. That's without question," Harry told the BBC. "So you know if anybody else ... maybe slow down to date, spend more time at home. But no, it's for us it's an opportunity to really get to know each other without other people, you know, looking, trying to take photos on the phones and that kind of stuff." 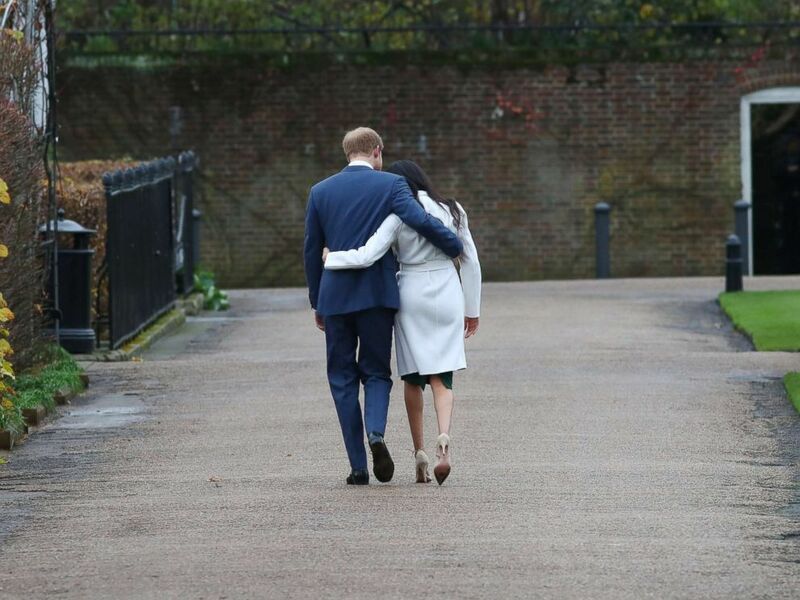 Britain's Prince Harry and Meghan Markle leave after a photocall after announcing their engagement in the Sunken Garden in Kensington Palace in London, Nov. 27, 2017. Kensington Palace announced that Prince Harry and Meghan Markle will marry in May at St. George's Chapel at Windsor Castle. 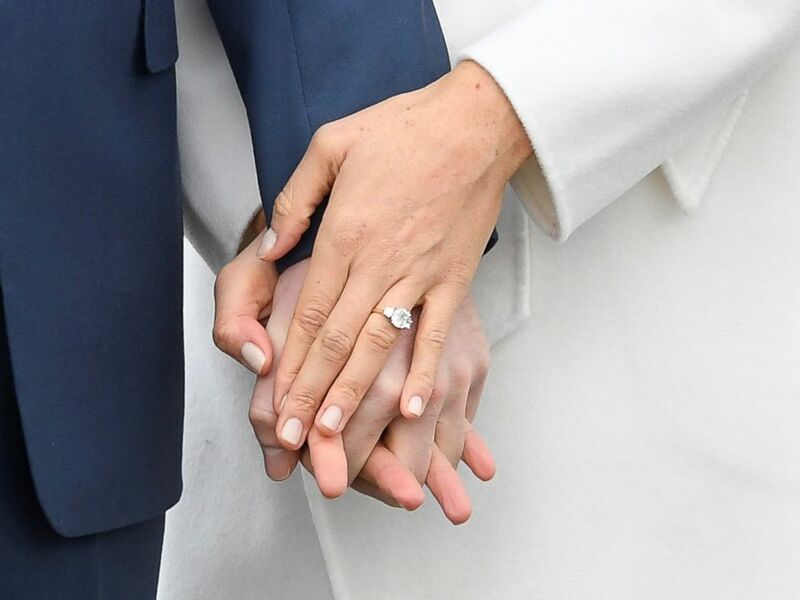 The couple will take an active role in planning the wedding themselves, Harry's communication's secretary, Jason Knauf, said, and want the day to be "fun" and "celebratory." No word if chicken will be on the menu.